The famous Kentia Palm from Lord Howe Island, off the east coast of Australia, hardly needs any introduction. It is considered by many to be the best house plant in the world. 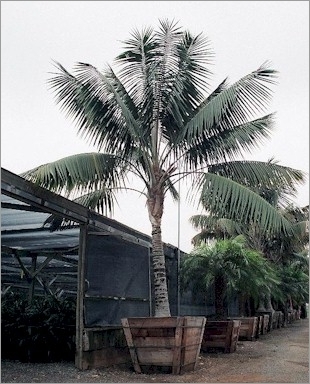 Tolerant of poor treatment and neglect, it will put up with low light better than almost any other palm. It is also an excellent landscaping plant that will do well in shade as well as full sun in most warm temperate/subtropical climates. It can take light freezes but does not like hot, tropical climates.